Scott Hawkins left the governor’s race today to focus on growing his business and advancing his policy work he did prior to entering the race. He filed for governor in September, but today said that when Mead Treadwell entered the race, the math didn’t work any longer. Hawkins is the president of Advanced Supply Chain International LLC, an oilfield services company with work on the North Slope as well as internationally. He also founded “Alaska Wins,” a group that works to engage the private sector in promoting pro-business policies, economic development, fiscal solutions and general prosperity by educating Alaskans on important public policy issues. “In the fall of 2017, I jumped into this race to make a difference and to win. I believe our message of fiscal responsibility, changing Juneau, and promoting conservative policies to attract good jobs and retain good people indeed made a difference,” he said. “I’m proud that this campaign had a positive impact on the race,” Hawkins said. “But I have concluded that recent developments in the race, particularly the last-minute entry of Mead Treadwell, significantly diminished my ability to win the primary. I was looking forward to facing Sen. Mike Dunleavy, head-to-head. The two of us offered Republican primary voters different visions for Alaska as we engaged in a friendly, respectful airing of our ideas on the campaign trail. Mead’s entry into the race significantly complicated this contrast,” he said. Hawkins is a fiscal conservative with deep experience in job creation and a belief that the private sector should be the basis for Alaska’s economy. He spoke against an income tax and in favor of reining in state spending. 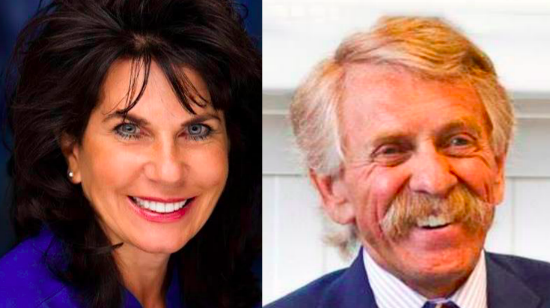 His relationship with Dunleavy has been cordial on the campaign trail and although polls favored Dunleavy, Hawkins won people over with his strong economic background. He said he’d keep his options open for 2022: “Without doubt, I will be supporting the eventual Republican nominee. Alaska is at a crossroads, and there is simply too much at stake. There is far more that unites Mike, Mead and me than divides us. Four more years of Bill Walker or four years of Mark Begich will do nothing to improve Alaska’s jobs climate and fiscal plight. I would like to thank my volunteers and financial supporters from the bottom of my heart. Your financial contributions and the time you devoted volunteering for the campaign mean so much to me. This has been a team effort. Earlier this year he was diagnosed with pancreatic cancer and has undergone chemotherapy, which has brought optimistic reports. The cancer was caught early, Hawkins said, and he has a good chance of recovery. Scott Hawkins pretty much refrained from taking cheap shots at Mike Dunleavy. Treadwell however is polling and push-polling – unsuccessfully – to find some sort of Dunleavy weakness. Scott Hawkins was never a desperate candidate whereas Treadwell has been desperate since the day he announced. Dunleavy has the nomination sewed up but all Republicans and all conservatives need to come together to defeat Walker and Begich. I still expect the Juneau elite to engineer a ticket that has Walker step away, likely using some of the same arguments they used to have Mallott step down 4 years ago. Thank you, Scott, for your willingness to participate in the Gubernatorial Race. I know how difficult your decision was in withdrawing from the Race. I greatly appreciated the sincerity and thoughtfulness of your campaign platform and I hope that Treadwell and Dunleavy will pick up on your strong economic concepts. I wish you well, not only in your future business activities, but also in your personal health issues. Again – thank you for your good efforts. A class act. Many prayers for a great recovery for him! Scott Thanks, your efforts were admirable and your family & your health is more important then any Public Office .. Gods speed to a happy and healthy future! Scott Hawkins is a fine man and was a good candidate. I have worked with him on other campaigns where we backed conservative candidates (i.e. Senators Coghill and Giessel). As a Dunleavy supporter, I was sorry to see Scott withdraw as between the two of them, there would have been both interesting debates and a total absence of rancor and name calling. With Treadwell in the race we have already seen the polar opposite of Scott Hawkins. I wish Scott the very best and hope to see him again on the campaign trails of the future.